We are the Lay Dominicans of Dallas and Fort Worth. We are glad you found us. Most people end up on a website like this because they have a desire to live their faith more fully. Throughout history, there has always been a special place in the Church for those who are called to do so. There have been penitential orders for centuries. Throughout the years the names have changed -tertiaries, third order Dominicans, and Lay Dominicans to name a few. 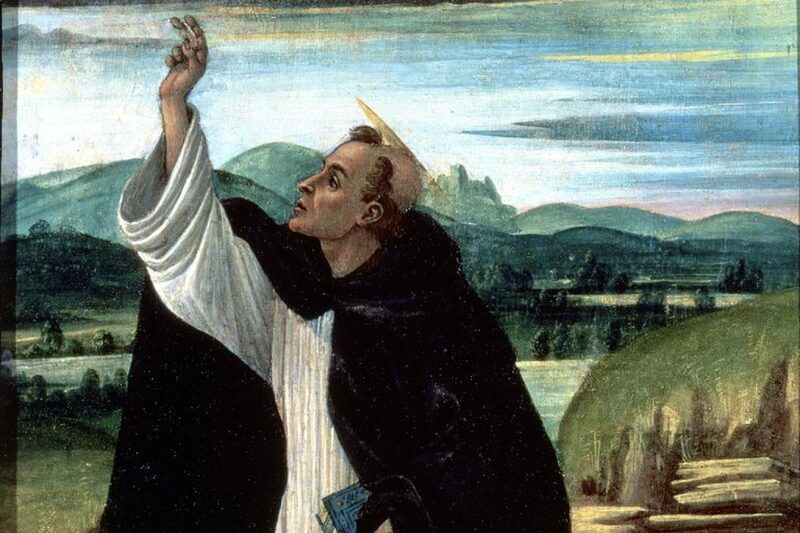 It is our hope that this website will help you see who we are, and how we live our faith, in the spirit of St. Dominic. Who are we? We are husbands and wives, sons and daughters, cradle, reverted and converted Catholics. We are housewives, teachers, software engineers, blue collar workers, and HR professionals. We are every generation from ‘The Silent Generation’ to Generation Z. We are inquirers, candidates, temporarily promised, and permanently professed. Our chapter is centered in Dallas at St. Albert the Great Priory. We have members that reside in the Fort Worth Diocese and someone who travels from Midland, TX. Each of use felt or heard the Holy Spirit drawing us to a deeper expression of our faith. Through the process of discernment, we choose to live our lives embracing the spirituality of St. Dominic whose foundation is the four pillars of prayer, study, community, and preaching. We live this spirituality in our everyday lives – as members of the Order of Preachers and the Dominican Family. If you are interested in learning more, have a look around our website. (Content forth coming.) If you would like to speak with someone about discerning with us, please use the contact form below. We are grateful you stopped by and look forward to hearing from you. Sincerely ~ The Lay Dominicans of Dallas.